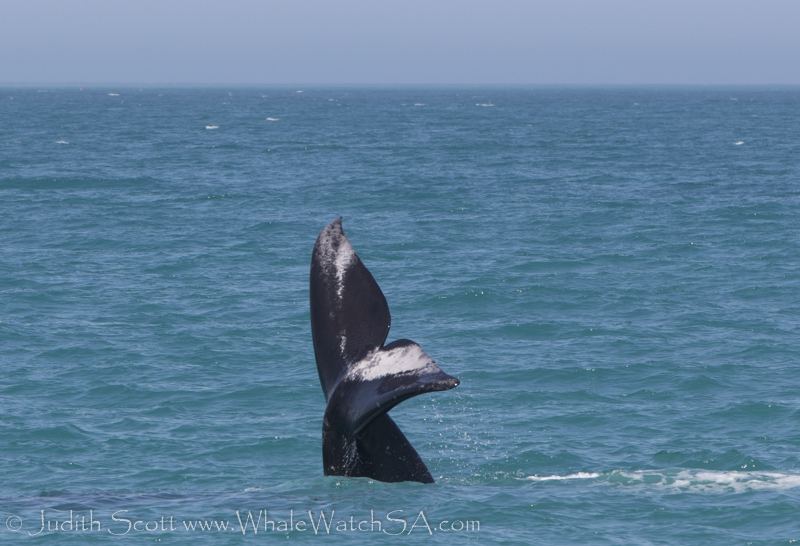 The wind dropped to only a light breeze today, which made for some awesome whale watching. There were at the very least 8 pairs of whales around, and we had a lovely time cruising slowly through the groups and checking out the animals. We had some beautiful cow calf pairs about, including a baby with white speckles and a gorgeous white tail. Mom was also a stunner with some distinctive grey patches on her back. The first tour of the day had a very close approach from this pair, with mom and baby hanging out right next to the boat for what felt like ages. They just stuck at the surface, giving us some awesome views. The visibility was also great today so we got to view the animals under the water too, which really gives you an indication of the size. 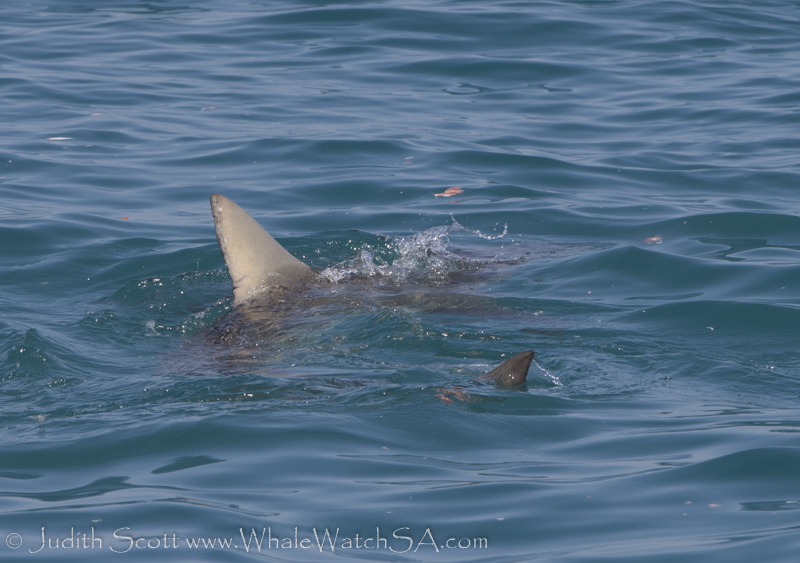 After these lovely animals, we moved on to Slashfin where a Copper Shark was spotted. 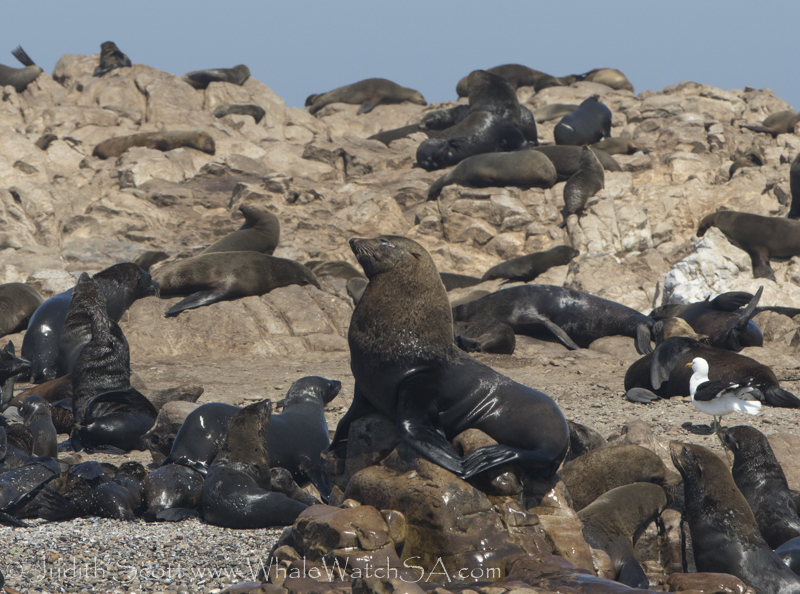 Our last stop was at Geyser Rock where the Cape Fur Seals were a little pungent today. Our next trip launched just after lunch time and saw us heading to the beach once again, here, we found a calf doing some lobtailing. Lobtailing is when whales beat their tails against the water and it is one of the coolest things we get to see. 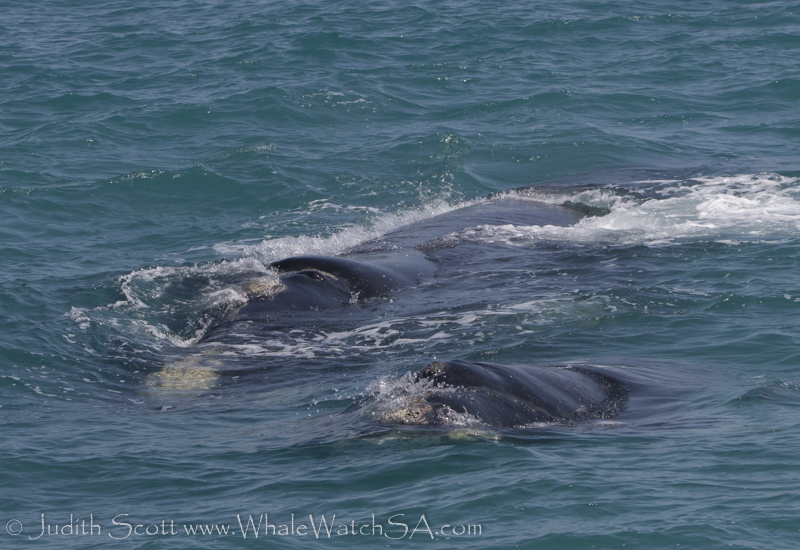 After giving us a real show, we head a bit deeper in to the bay to spend some time with another few pairs of whales. We then picked up a bit of speed to travel towards Dyer Island, spotting some African Penguins along the way. 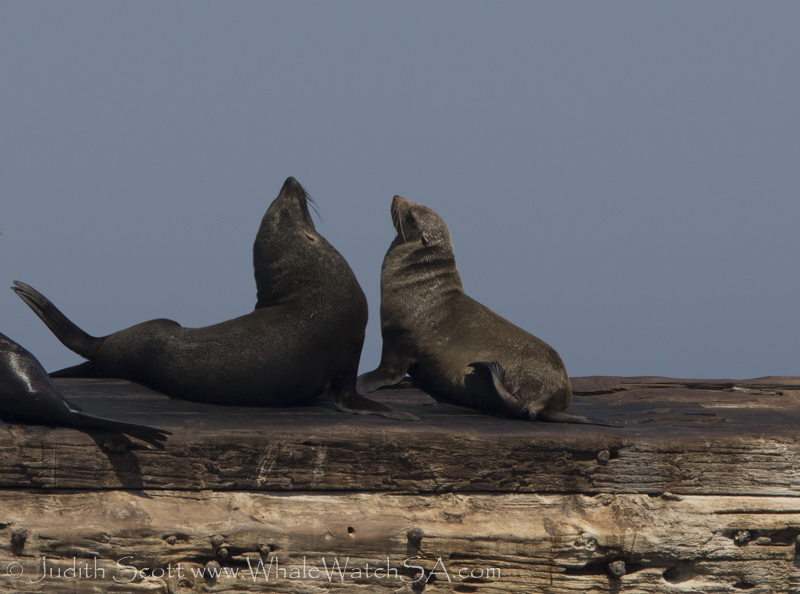 We then watched hundreds of seals relaxing in the water in shark alley before returning to port. Trip 3 had only a breath of wind, and one could really feel that summer was in the air. 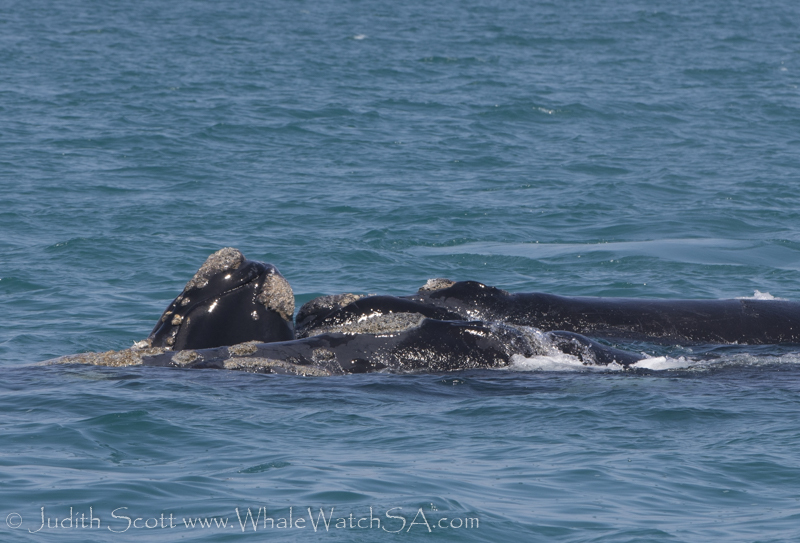 We spent some time watching the whale calves playing with their mothers in the crystal cleat water, seeing some flipper action as they rolled on their backs, and the tips of their tails as they moved through the shallow areas. 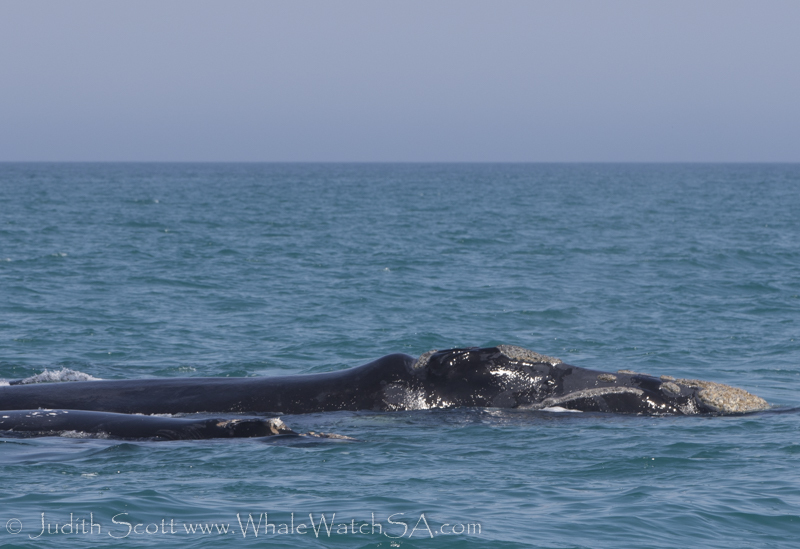 We had whales all around and thoroughly enjoyed their company before heading over to our Cape Fur Seal colony. 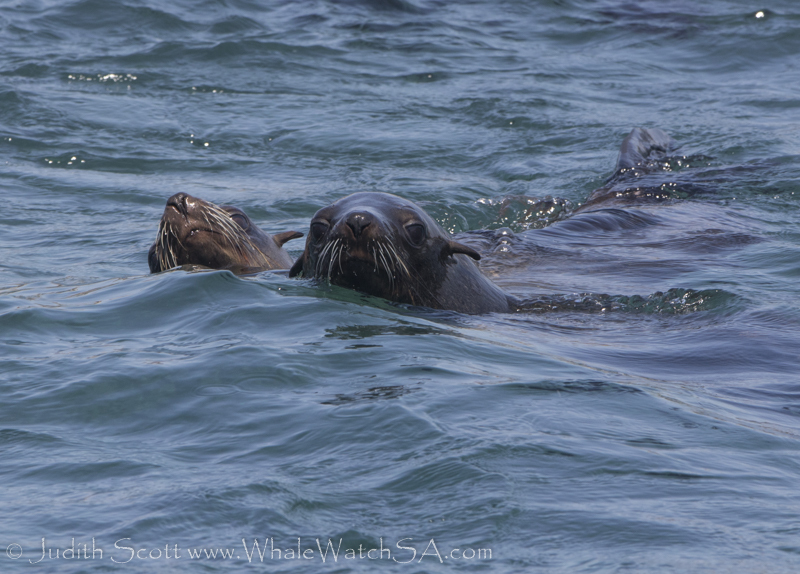 The pinnipeds were playful as ever and we had a ball cruising by them before slowly heading back towards Kleinbaai. 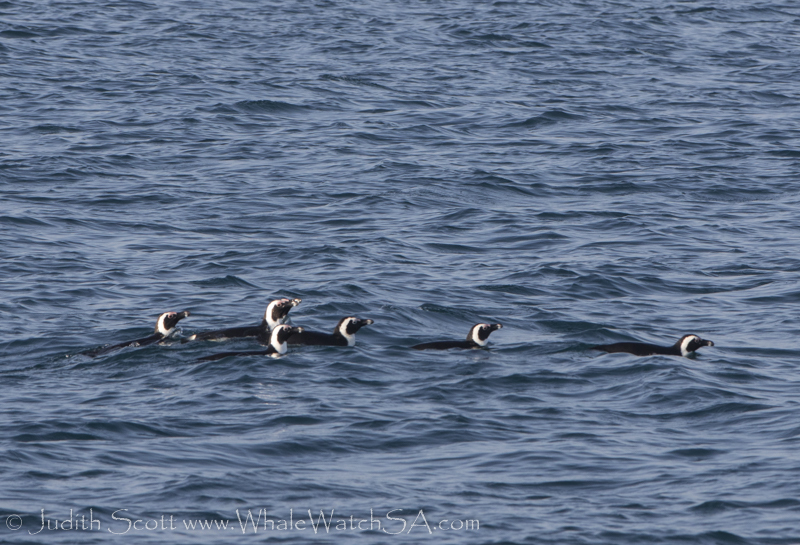 On the way back, we intercepted a raft of African Penguins heading home. Seals chilling on the Prince Port. Playful seals having a look at us. A curious pair moves ever closer. This whale had a spectacular tail. 2 calves playing right next to a mother whale. The other mother was just a bit further off.